Here is the Sperry Hockey roster for Thursday February 27 2014. We take the ice at 9:30 PM and play for 50 minutes. The price is $15 for all skaters. Goalies play for free. David Delamere will be taking your contribution this week. You can make his job easier by arriving as early as possible and finding him as soon as you enter the rink. Please pay either in cash or with a personal check. Do not pay with a credit card. Please make your check payable to Sperry Marine Hockey Club. Brad Sayler is handling cancellations, and he will attempt to fill any cancellations from the alternate list first. If you have to cancel, you can e-mail us using the sperryhockey@gmail.com address until noon on Thursday. From noon to game time, you should call Brad’s home phone at 434-823-7334. Sperry cancellation rules apply. See No-Show and Late Cancellation Policy for details. Here is the Sperry Hockey Roster for Thursday, February 27, 2014. We take the ice at the Main Street Arena at 9:00 PM and play for 50 minutes. We will run B and C lines with a 90 second clock. Please arrive early so you have plenty of time to dress and be ready to hit the ice. Your slot may be forfeit if you arrive at the rink after 9:15. This entry was posted in Roster and tagged 2014, February, Main Street Arena, Roster on February 26, 2014 by Sperry Hockey. Due to a scheduling conflict at the Main Street Arena, there will be no Sperry hockey game this Thursday, February 20, 2014. I apologize for any inconvenience this causes. To the best of our knowledge, we’ll be back on the ice next Thursday (February 27) at our normal time. A signup email will be forthcoming later this week. This entry was posted in Cancellation, News and tagged 2014, Cancellation, February, Main Street Arena on February 17, 2014 by Sperry Hockey. It pains us to have to do this, but we have decided to cancel tonight’s game (Thursday, February 13 at 9:30 PM). We’ll send out a sign up message for next Thursday’s game in the next couple of days. Until then, stay warm and safe, and we’ll see you next time. Have fun in the snow! This entry was posted in Cancellation, News and tagged 2014, Cancellation, February on February 13, 2014 by Sperry Hockey. OK… so game NOT on! Sorry folks, but we’re gonna shut it down for tonight. It stinks, especially when we get extra ice time. However, this storm actually looks even worse than originally predicted(last alert stated 12-20″ of accumulation), and I’ve already heard of accidents around town. So, it’s a safety thing for everybody. So, stay warm and safe, and we’ll see you next time. This entry was posted in Cancellation, News and tagged 2014, Cancellation, February on February 12, 2014 by Sperry Hockey. Update: Thursday, February 12, 08:51. 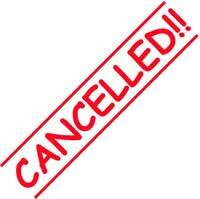 Sorry folks, but we’ve decided to cancel the game for Thursday February 13 2014 due to the weather. Have fun in the snow. Here is the Sperry Hockey Roster for Thursday, February 13, 2014. We take the ice at the Main Street Arena at 9:00 PM and play for 50 minutes. We will run B and C lines with a 90 second clock. This entry was posted in Roster and tagged 2014, February, Main Street Arena, Roster on February 12, 2014 by Sperry Hockey.